Professor François Tanguay-Renaud has been Director of York’s Jack & Mae Nathanson Centre on Transnational Human Rights, Crime and Security since 2012 (a position he shares with Professor Heidi Matthews since July 2018). He is also one of the founders and first Director of York’s Juris Doctor/Master of Arts (JD/MA) combined program in law and philosophy, the founder and main administrator of the Ontario Legal Philosophy Partnership (OLPP) and a former Associate Dean Research, Graduate Studies, and Institutional Relations. Professor Tanguay-Renaud holds degrees in both civil and common law from McGill University, where he was both a Loran Scholar and a Greville-Smith Scholar. He also studied at the National University of Singapore, and completed his graduate work (BCL, MPhil, DPhil) at the University of Oxford, where he was in turn a Rhodes Scholar, holder of the Studentship of the Centre for Ethics and Philosophy of Law, as well as doctoral fellow of the Fonds québécois de la recherche sur la société et la culture (FQRSC) and of the Social Sciences and Humanities Research Council of Canada (SSHRC). Prior to joining Osgoode, Professor Tanguay-Renaud was a Lecturer in Law at Corpus Christi College, University of Oxford. He also served as a law clerk to Justice Marie Deschamps of the Supreme Court of Canada, and worked with the Asian Forum for Human Rights and Development and the Asian Network for Free Elections in Thailand, as well as with the Human Rights Commission of Pakistan. Since starting at Osgoode, he has held Visiting Professor appointments at the University of Minnesota Law School (Robina Institute for Criminal Law and Criminal Justice), the University of Oxford (H.L.A. Hart Fellow), the National University of Singapore, the University of Toronto Centre for Ethics and Faculty of Law, Massey College, and the National Law School of India University (NLSIU). He currently also holds an appointment as Adjunct Associate Professor in the Department of Philosophy of McMaster University. 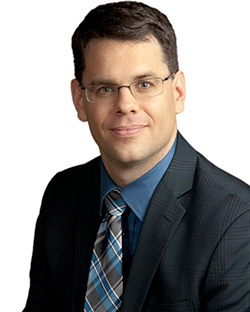 Professor Tanguay-Renaud started his association with Osgoode in 2006 when he came as a visiting scholar to help redesign the mandate of the Nathanson Centre. He served as Associate Director of the Centre in 2008-2010, Acting Director in 2010-2012, and has been full-time Director ever since (with a hiatus in 2017-2018 for a sabbatical leave). His current academic interests span a wide range of subject areas viewed mostly through the lens of analytical legal theory. He is editor (with James Stribopoulos) of a collection entitled Rethinking Criminal Law Theory: New Canadian Perspectives in the Philosophy of Domestic, Transnational, and International Criminal Law (Hart Publishing, 2012), and has published articles in leading journals such as Ethics, Legal Theory, Res Publica, Law and Philosophy, and Criminal Law and Philosophy as well as in many leading edited collections. Professor Tanguay-Renaud regularly teaches courses on criminal law, criminal procedure, the philosophical foundations of criminal law, jurisprudence, and the rule of law. He was the recipient of the Osgoode Hall Law School Teaching Award in 2017. Research Interests: Theory of criminal law, criminal procedure, public law, international law, and associated areas of political and moral philosophy; jurisprudence; the rule of law; emergencies and the law; collective and corporate responsibility; war ethics; Canadian and South Asian constitutional law and politics. Graduate Research Supervision (LLM, PhD): Professor Tanguay-Renaud is broadly interested in supervising analytical philosophical research on criminal law and procedure, constitutional law, administrative law, and international law. He is especially interested in research that investigates these fields through the lens of moral and political philosophy. In terms of specific issues, his current interests relate to issues of collective and corporate responsibility, accountability of state actors through the criminal process and otherwise, policing and prosecution, justice, rule of law, emergencies, and liability in war.